Congratulations Employee of the Month, Patrolman Rick Rizzo of our Police Department! You are at:Home»Employee of Month»Congratulations Employee of the Month, Patrolman Rick Rizzo of our Police Department! Rick has lived in the City of Macedonia for 24 years. He is married to wife, Lisa, for 24 years. They have twin daughters;both attending Kent State University attaining their nursing degree and a 14 year old son, all of whom keep him very busy! Prior to coming to the City of Macedonia, Rick worked for the City of Cleveland Police Department in the Corrections Department. In 1990, a job opening occurred in Macedonia and he began working in the Police Department. From 1998 to 2008 he was assigned to the Detective Bureau. 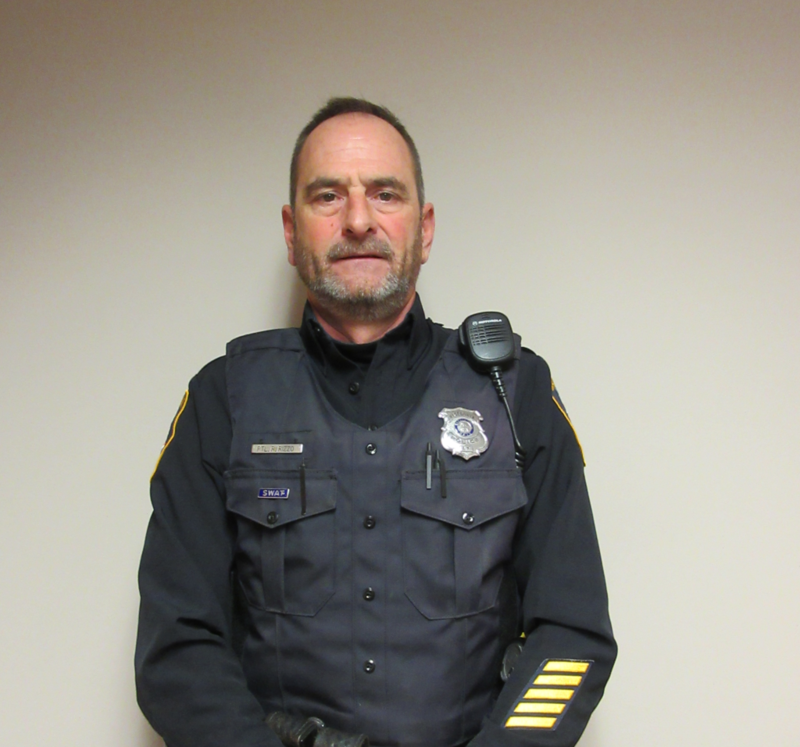 Currently Rick is completing his 20th year for the Summit/Portage County Metro SWAT and serves our community as a Patrolman. Rick’s love for the Police Department came from his Dad who was a Policeman for the City of Brecksville and Cuyahoga County Sheriff’s Department. He said he wanted to “follow in his Dad’s footsteps”. Rick enjoys bass fishing tournament and the sport of hunting When asked what do you like most about your job? Rick stated, “helping people who are unable to help themselves.” He enjoys being where the excitement is and being part of it. As a resident, Rick looks out for our community in keeping it safe. City of Macedonia and salute him on his dedication and his sincere passion for the City.